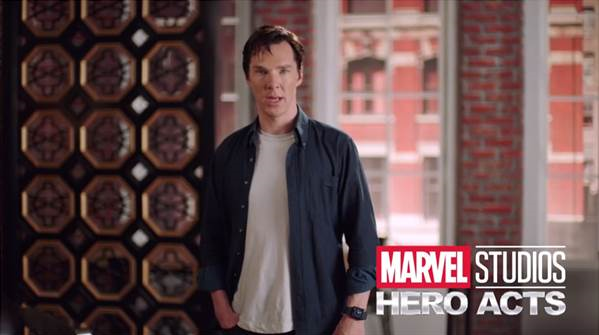 Marvel Studios has launched the first Hero Acts campaign! From now until the end of the year, Marvel Studios will donate five dollars ($5) to Save the Children, up to U.S. one million dollars, for every fan who uploads a photo of themselves in their favorite Marvel hero pose. Marvel Studios is collaborating with Fotition, a new social change platform, to power the experience on a brand-new website MarvelStudiosHeroActs.com. Fans will be able to visit the site to upload their photo and choose from a selection of custom Marvel-themed overlays. They will then be able to post their photo directly to the Hero Acts gallery and to their other social channels using the hashtags #marvelstudios & #heroacts. Learn more about Hero Acts below. I love Marvel and this just made me love them all the more!